Lucy's going to enjoy this summer—not. Lucy is a feisty, precocious tomboy who questions everything—including God. Understandably—after an accident killed her mother, blinded her father, and turned Lucy’s life upside down. It will take a strong but gentle housekeeper—who insists on Bible study along with homework—to show Lucy that there are many ways to become the woman God intends her to be. 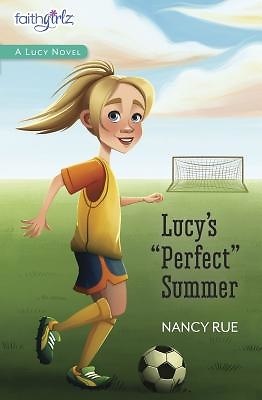 Now that school's out, Lucy has plans for a perfect summer going to soccer camp with her friends. Lucy even makes the select team! But between the team bully and Dad’s work pressures, the summer fun isn’t meeting Lucy’s expectations. Can Lucy switch up her attitude and meet her challenges head on, or will her perfect summer crash uncontrollably?